type40 - Doctor Who news and views: BIG NAME DIRECTORS FOR DOCTOR WHO? BIG NAME DIRECTORS FOR DOCTOR WHO? 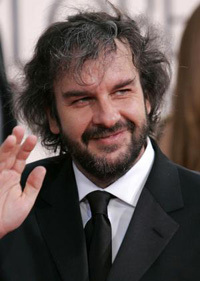 Lord of the Rings maestro, Peter Jackson and Looper director, Rian Johnson have both expressed a keen interest in taking on an episode of Doctor Who. Jackson, who is currently busy filming The Hobbit trilogy with seventh Doctor Sylvester McCoy, told the Waikato Times "I'm a huge Doctor Who fan, and I think Matt [Smith]'s fantastic. Just name a time and a place, and I'll be there." Jackson's comments come from recent rumours about Doctor Who filming an episode in New Zealand. 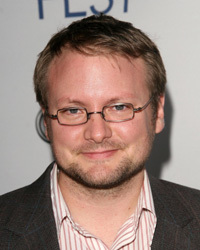 Rian Johnson whose new film Looper has just been released is also up for the challenge. Johnson was talking to fans in a recent interview on Reddit. "What I'd really like to try, although it would be terrifying because I'm such a big fan of it? 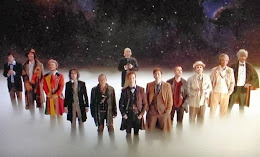 Doctor Who." Only time will tell if either of these two filmmakers will get their chance. Personally, we hope they do. Watch this space for more!